Roger Ver, known in the Bitcoin community for operating Memory Dealers and for a number of efforts marketing Bitcoin including a billboard and a radio ad, has announced that he is starting a new Bitcoin business: an all-purpose electronics store. 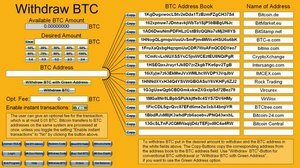 The Bitcoin Store is already online, with thousands of products available for sale ranging from three dollar USB keys to thirty thousand dollar servers and everything in between. Of course, Bitcoin electronics stores are nothing new; Bitcoin Blaster has been selling electronics for bitcoins for months now, and Bitcoin stores with even larger offerings, such as the now-defunct Bitcoin World Market, have been popping in and out of existence for over a year. However, the Bitcoin Store has one feature that gives it staying power that no other such business has ever had in the Bitcoin world: it is cheaper than the competition. Shipping is currently set at a fixed $4.99 USD for orders within the United States (although the fee is waived for orders above $100), and a variable fee based on destination and weight internationally. Even at this rate, domestic shipping is usually cheaper than that available at Amazon and NewEgg, where shipping on low-cost products is often even higher; a sample selection of adapters on NewEgg shows shipping costs ranging from $6.99 to $9.99. There are places in the Bitcoin economy where shipping is even cheaper. Some goods on Bitmit offer even expedited international shipping for as little as $2. However, no other bitcoin business offers nearly as expansive an array of goods as the Bitcoin Store does. If volume picks up, even the $4.99 shipping fee may disappear. “Ideally, everything will have free shipping inside the USA,” Ver writes, “but it will take a little more work. If I can guarantee $300K in sales a month, then I can do it for sure.” Even without that much volume, there is a possibility, although far from a certainty, that shipping costs will soon come down to $1.99 regardless. 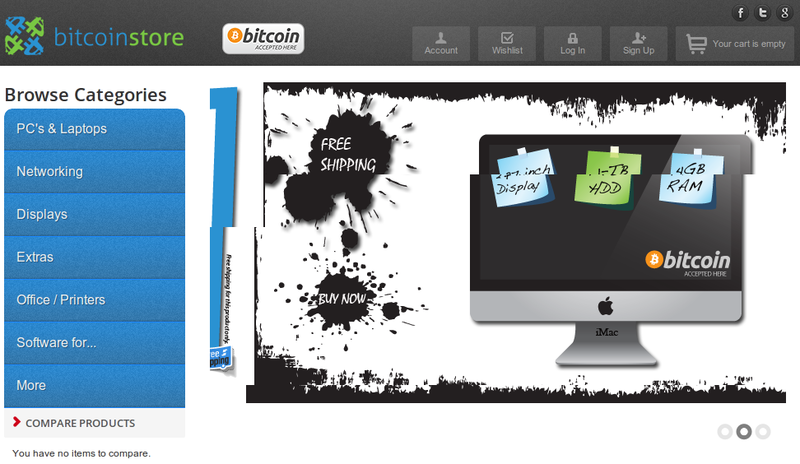 For now, the Bitcoin Store is still in a beta stage, with a $1,000 minimum on purchases. The user interface is still being finalized, and international shipping costs are currently very high; some report costs as high as $90. However, if everything goes according to plan all of these issues will soon be resolved. The minimum is only there to keep usage down while the site is still being finalized, and Jon Holmquist expects that it will be removed within the next few days. The Bitcoin Store team also reassures potential customers that the current international shipping costs should be disregarded, and much cheaper options will be introduced once the rest of the site is complete. Because of its low prices, if the Bitcoin Store is successful, it represents another chance for a large increase in Bitcoin adoption in the near-to-medium term future. The Bitcoin Store’s prices are in fact low enough for it to even be worth it to pay the 5% fee to buy bitcoins from BitInstant to shop there rather than using a credit card, so the potential audience of the site extends far beyond those who already have bitcoins to spend. Like all Bitcoin businesses, the main challenge that the Bitcoin Store will have to face is marketing. Roger Ver and Jon Holmquist are already marketing the site on all channels within the Bitcoin community as well as social media channels, but a much stronger and concerted marketing effort will be required for the store to achieve the sales volume that it needs. If it does, this may be one of the best things to happen to Bitcoin yet.